Recognising that nature is not just wilderness. Urban parks, gardens and even vegetation in the cracks of sidewalks are examples of nature that contribute to the quality an individual’s life. 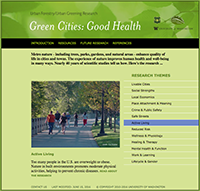 Conducting research and consolidating the findings of others, on the various benefits that nature provides to our lives: health, economics, safety and living. 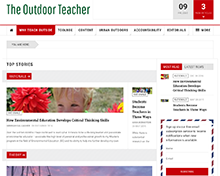 Using the outdoors and natural and built environments as a context for learning and teaching. Providing teachers with the skills and excuses to take their kids out into the playground to learn and conduct their own investigations - across the curriculum. Provide guided experiences in nature for individuals and small groups. These experiences can be in rustic or urban settings and focus on content or team building. Each experience is designed to help the needs of the participants. The common factor is being outdoors and learning. © 2019 Think Outside, LLC. All Rights Reserved.